The music of Cuba is exceptional. History has made it unique. We found it in every city in the cafes, bars and on the streets. 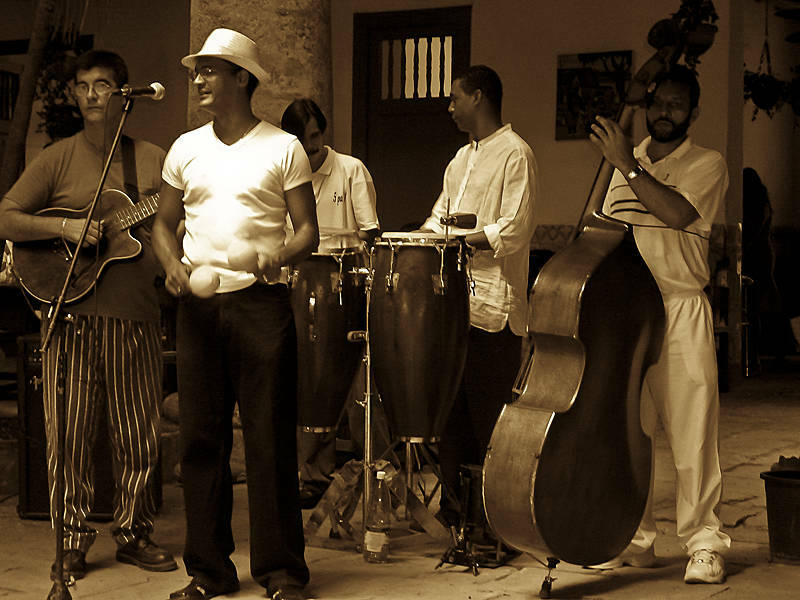 Being a musician in Cuba is considered a profession worthy of a wage from the government. I grew up in the UK where being a musician was considered a lack of profession. In 2013 Sony looked to the Caribbean for music. In 2014 a delegation from Sony visited the Cuban state owned record label with an offer of world distribution for the island’s national music archive. This week’s announcement confirmed global licensing of 30,000 songs dating back to 1964. Split Toning was used to process this image in Camera RAW. I used the settings from this shot as it has become the most popular one from Bluesfest 2015.